Yes, Coca-Cola has done it again. Another new version of Coke for Cruft Labs to investigate. 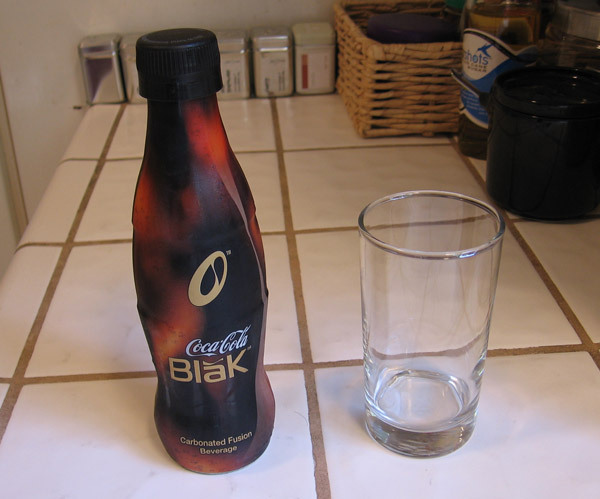 Coca-Cola BlaK is "Coke Effervescence with Coffee Essence". You will note that I am spelling it correctly. It's not 'black' it's 'BlaK'. I spied Coke BlaK on the internet a week or so ago and looked for it at 7-Eleven regularly. Last night, while picking up a pint of Oatmeal Cookie Chunk, I found that Coke Blak had arrived. Loyal Cruft Readers know that I have much love for Coke and even more love for canned iced coffee. Could this be some sort of beverage nirvana? Coke BlaK comes in a small 8 ounce glass bottle in the classic curved bottle. 12 ounces bottles would be better, but it's better than the plastic bottles. 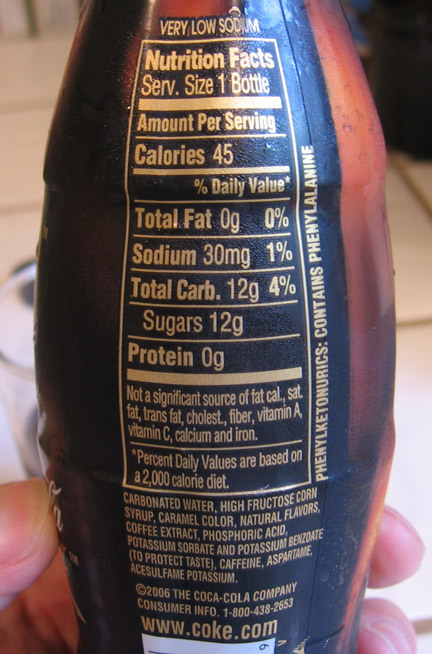 Taking a look at the back of the bottle, the first thjng to notice is that Coke BlaK is a diet drink similar to C2. To sweeten it, Coke uses corn syrup, Aspartame (Nutrasweet), and Acesulfame potassium (Ace K), just like Coke C2. Coke BlaK has 12 grams of carbohydrates (think sugar) in 8 ounces, the exact same ratio of sugar in C2 (18 grams in 12 ounces.). While not promoting it, Coke is basically using the C2 base formula for Coke BlaK. Enough looking, let's get to the drinking. It has a lower amount of carbonation than a typical Coke. No striking aroma either. I took a drink and could immediately taste the coffee flavor. I was hoping to like it, but it just doesn't taste that great. The coffee flavor doesn't taste quite right. It's so specifically coffee that it almost tastes synthetic. It didn't taste like Coke with some cold coffee mixed in, it tasted like coke with drops of Coffee Flavor #57 dropped in. I don't have a better way to describe it other than 'artificial'. Michele gave it a taste and said, "My god, that's horrid. I mean truly terrible!" Zoe took a taste as well and commented, "That's yucky.". Sadly, I tend to agree. On the bright side, I removed the label from the bottles and the kids want to use them as water bottle. The classic shape, screw top, and 8 ounce size make them perfect for little hands. Here is the bottle in use in today's afternoon picnic in the front yard. I came, I saw, I drank... bleah, too strange to enjoy. I will like it a lot more when it's being dumped @ 4/99Â¢ at the 99 Cents Only store because NO ONE IS GOING TO BUY THIS STUFF. That does sound gross. I heard about it a while back but I dont really excpect to see it around here in CT. If I did curiosity would get the better of me though. Of course I'm the only person I know who has liked all the wierd sodas over the years from OK soda and cystal pepsi to that weird Blue pepsi that tasted like windex and surge I mean who liked that? 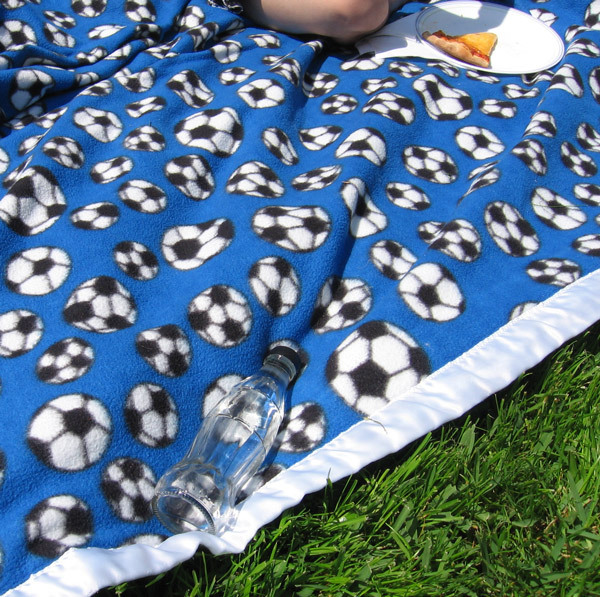 Anyway I wish I had a life where I could have a afternoon picnic in my front yard. Jolt used to have a coffee/cola mix called Jolt Espresso a few years ago. I could never decide if I liked it or not, but I bought it every once and a while. I tried BlaK over the weekend and found it to taste just this side of vile, but since I got a 4 pak I didn't want to waste my $$$. I had another one yesterday, only this time it didn't taste quite as vile. I think it's a flavor that grows on you. The initial 'YUCK!' reaction is simply because it's a very unique flavor. I fell in love with Coke Blak the first time I tried it. I am now addicted to it. I liked it. We had tons of samples at the college I work for. Students were hesitant of the concept of coffee and soda, but think of Manhattan Special. I never tried that but the concept is the same. I LOVE it - it's really refreshing and a great new taste for coffee lovers! My Husband and I both love it. It's interesting how people either love it or totally hate it. I do wish it wasn't so expensive though. i HATE that they felt the need to add the "poisons" on top of the corn syrup. what's the point? that alone deterred me from trying it. I had the initial "Yuck" reaction too but since I bought a 4 case I decided not to waste my money; now I sort of like them, but the price will probably detour me from getting them that often. Supposedly the French version of Blak that they released before the U.S. version uses real sugar and has a better, more real coffee flavour. I love it! The sad part about it is that it's completely unaffordable at $5.86 a 4 pack! I hope the price drops so i can have more than one a month! Loved it at 50 cent promotion at safeway. Wow it retails for alot. Liked the novelty and mid-calorie range, but will not pay big bucks for this. Yeah, it's not bad, but it's not good either. Honestly, I won't buy it again, but I will finish off this four pack I bought. It's going to die a horrible horrible death. Really nice after you get used to it (it takes about 5 seconds). Before those 5 seconds, it is quite nasty, but then the beauty of it all is shown. It is very addictive be forewarned. Just forget anything you think you know about Coke before you drink it. It's a completely new experience. My girlfriend and I tried it and I think we're addicted. Now if the stores around here were not selling it at $7.99 per 4-pack... I'd sooner buy a cold brew coffee maker and make my own at that price. Has anyone else tried this? I tried this stuff for the first time today and thought it was delicious! Heck, I bought two bottles off the bat because I figured 8 ounces wouldn't be enough (I was also thirsty lol). And both were not even enough...it's delicious and addictive! It reminded me a little of RC Draft, that premium soda that RC Cola had back in the 90's. The glass bottle, premium price, etc. 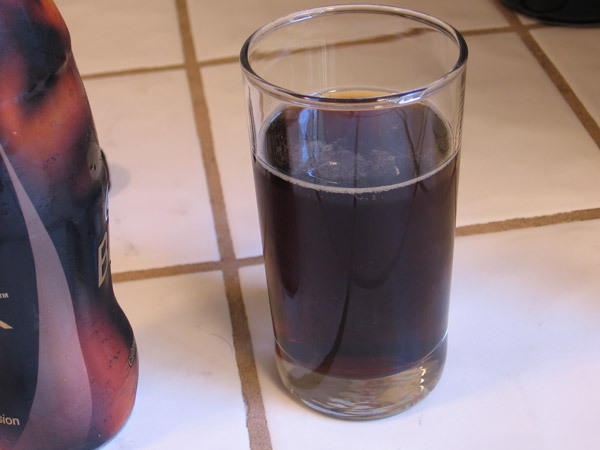 But also in terms of taste-it tastes richer and creamier than regular soda. So basically it tasted a little like RC draft with instant coffee powder put into it. The flavor was indeed not like regular fresh coffee but I actually liked the kinda weird instant coffee taste. There's these like, crazy coffee and milk and sugar instant powders that exist and that's the kind of instant coffee that this tasted like-not quite like regular folgers instant coffee but a less bitter variety of instant coffee meant for making a sweet confectiony drink. I guess Coca Cola went and bought a ton of that stuff for this soda. It is pretty good once you get use to it, but too expensive. If the price drops I would drink it more often. my initial reaction was 'hmm' as I do not drink diet sodas - now I have quit the HFCS sodas, so I tried it again - damn, I think I am going to like this stuff. It grows on you, I hope it sticks around and gains a following - hopefully this will lead to a drop in price. For now, I'll consider it a treat ! Blak is way too expensive. When I wrote an email to complain they dismissed me. But I know if they get enough complaints the price will drop. I am writing Coca Cola a letter to complain about the price of Blak. I sent an email, and they were very dismissive, so I am starting a letter writing campaign. Here is their address if you want to send a letter.